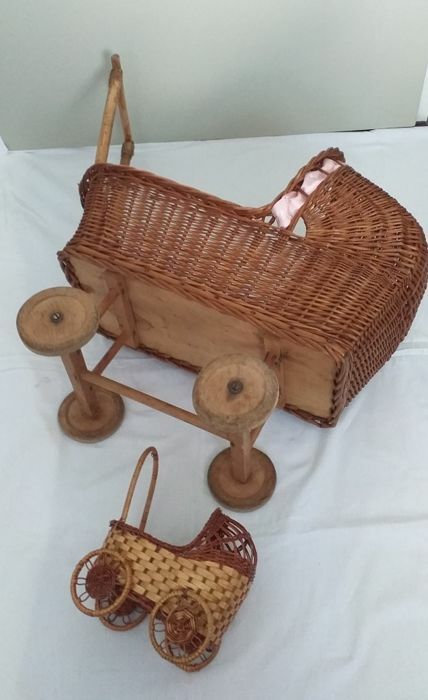 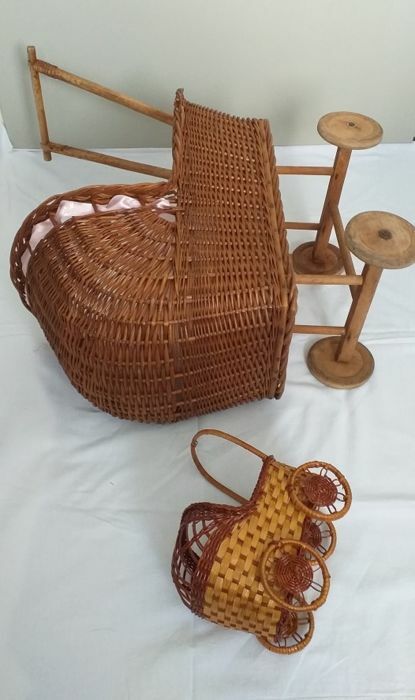 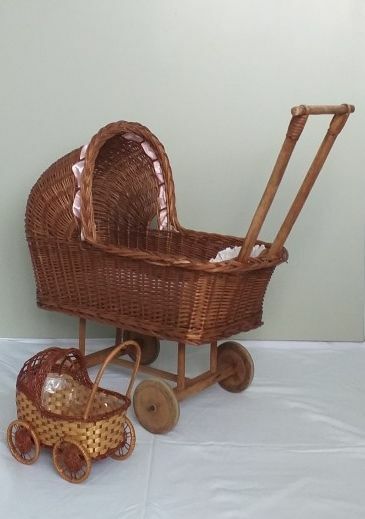 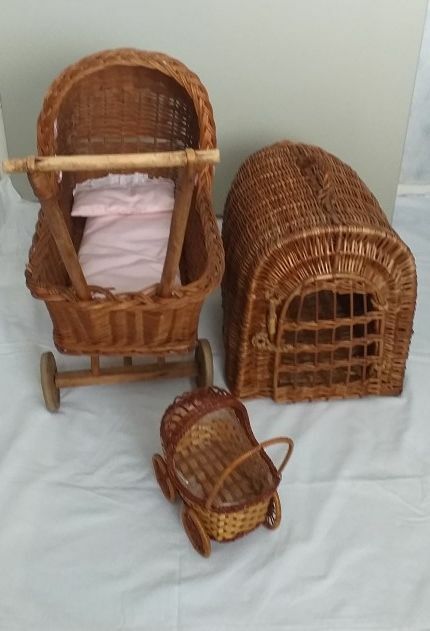 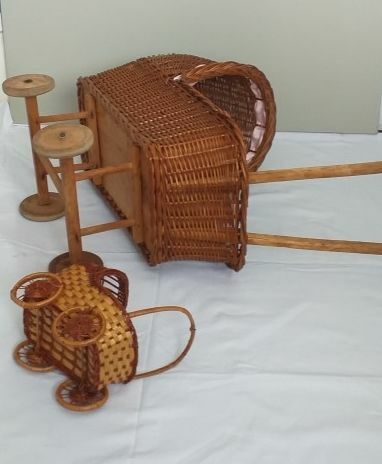 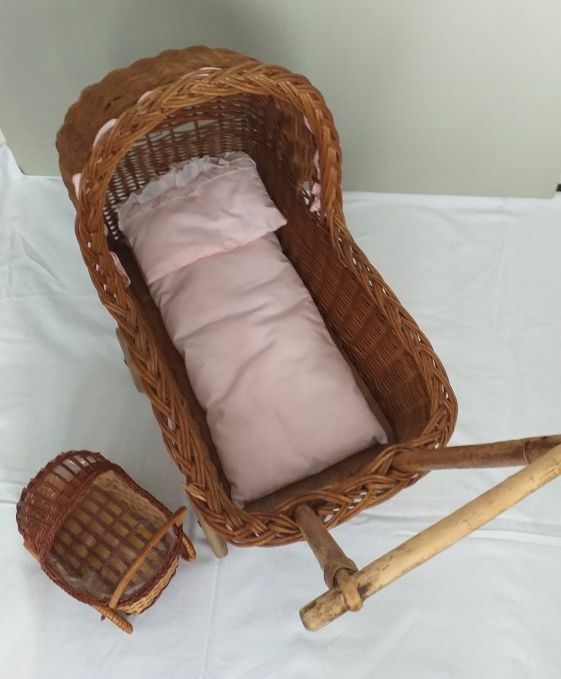 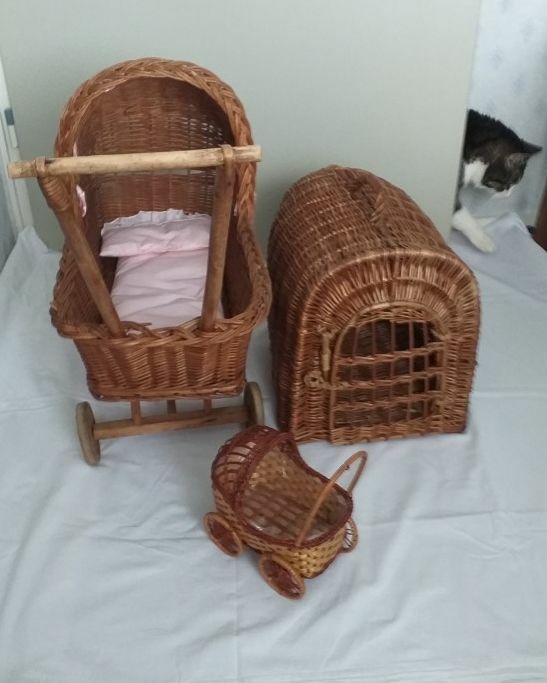 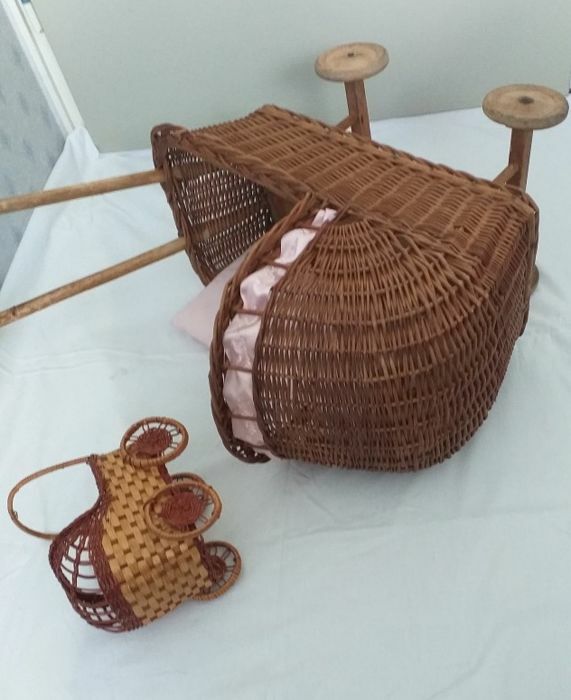 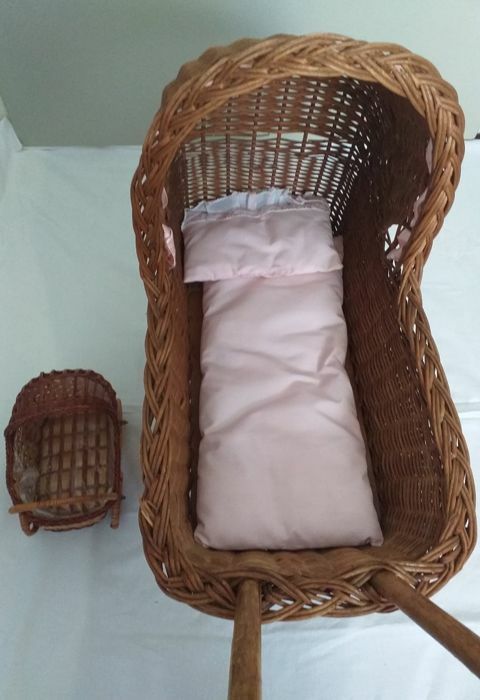 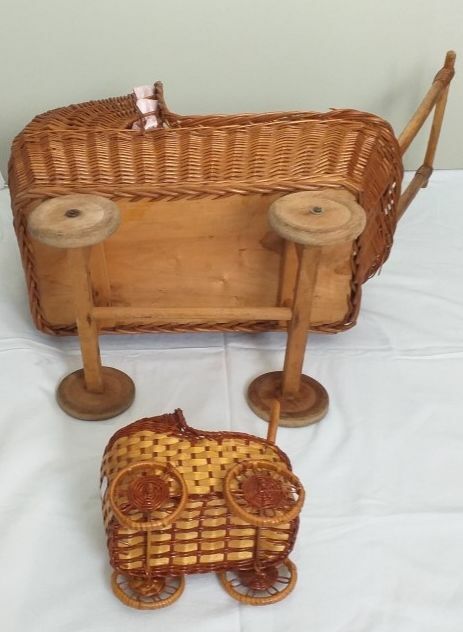 -Large and small wicker doll’s prams on wheels. 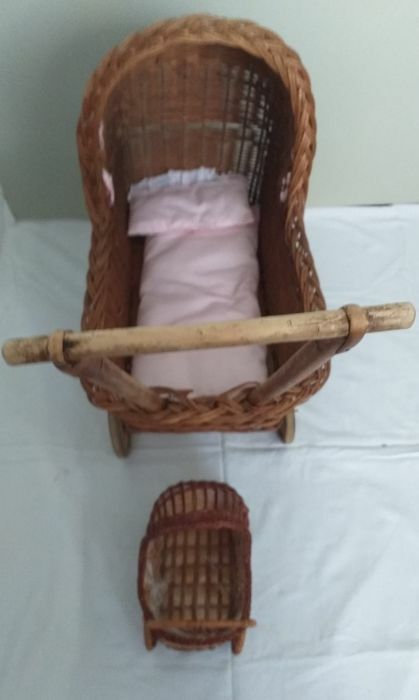 Height 53 cm, length 43 cm, width 21 cm. 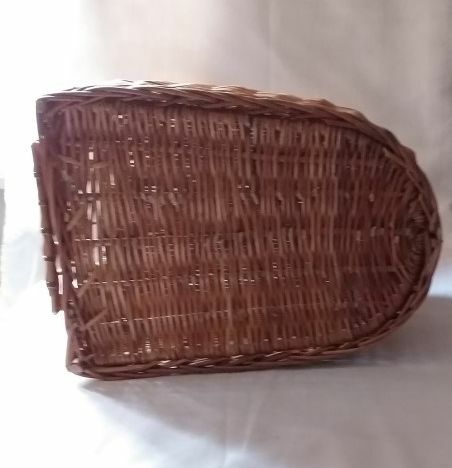 Diameter wheel 10 cm, thickness 1.5 cm. 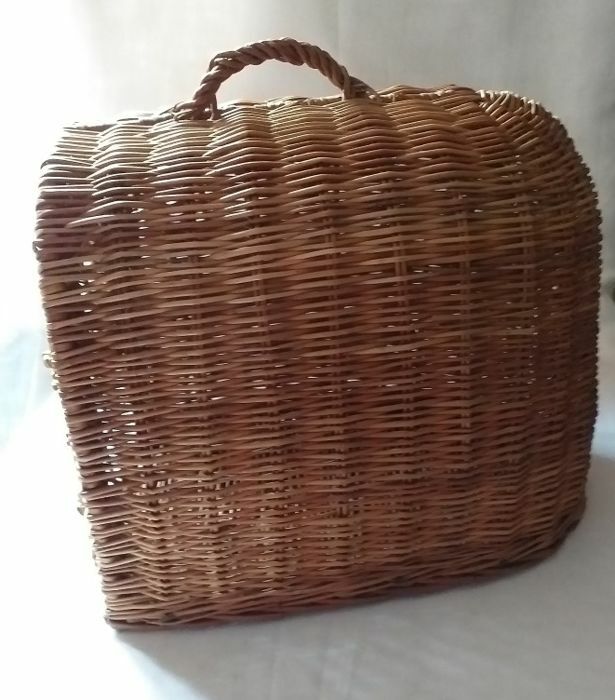 Bottom length 40 cm, width 19 cm. 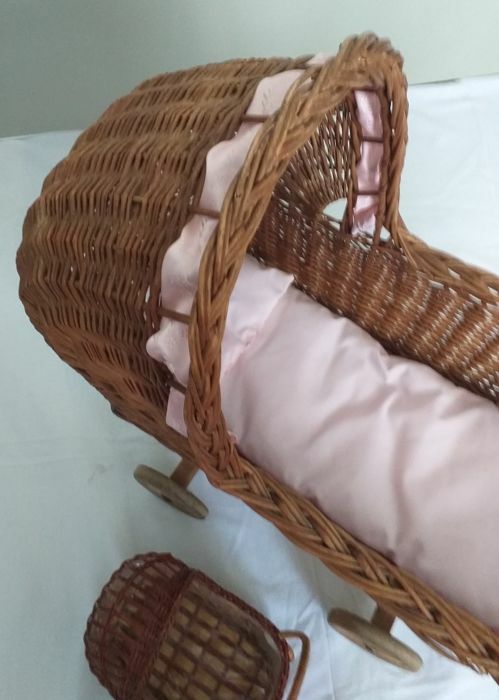 Hood decorated with a pink ribbon. 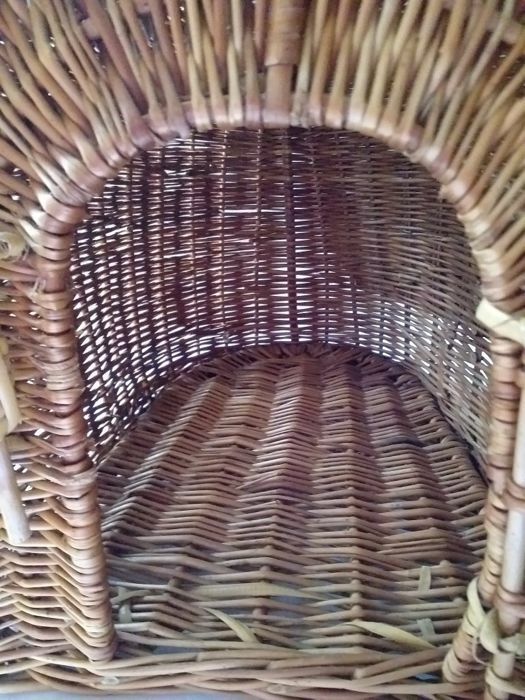 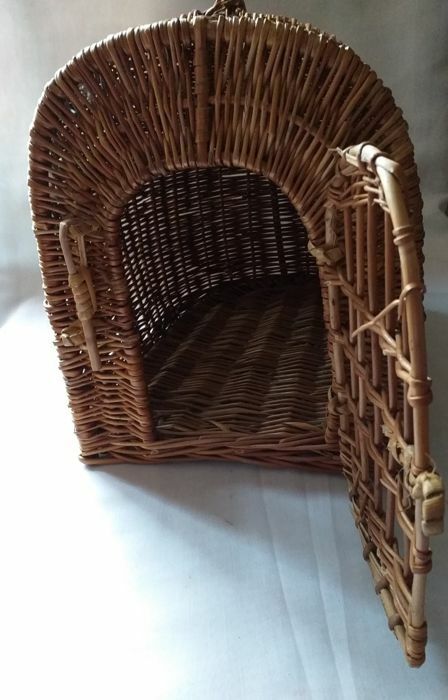 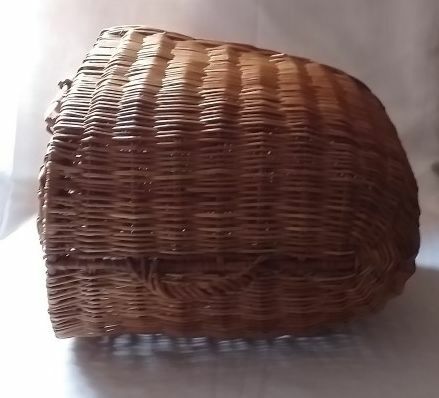 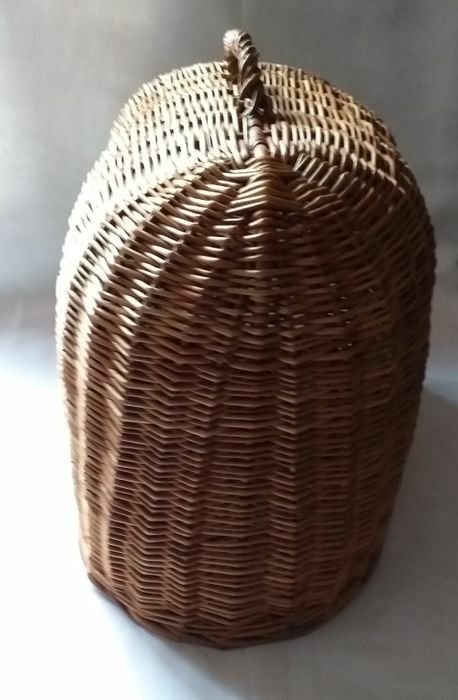 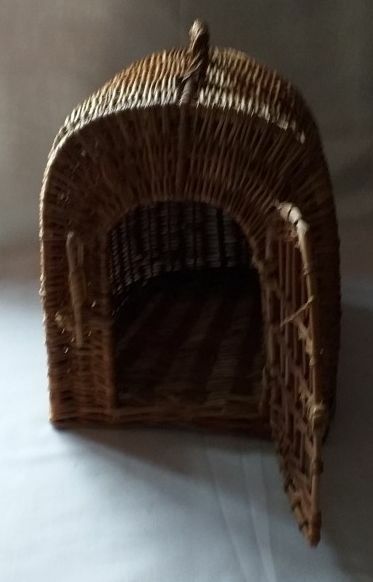 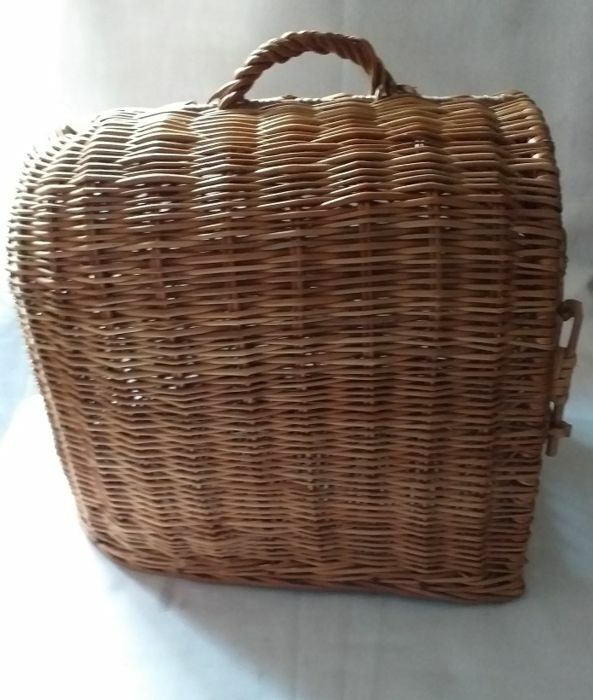 -Wicker Cat’s-travel basket with handle and door that can be secured. 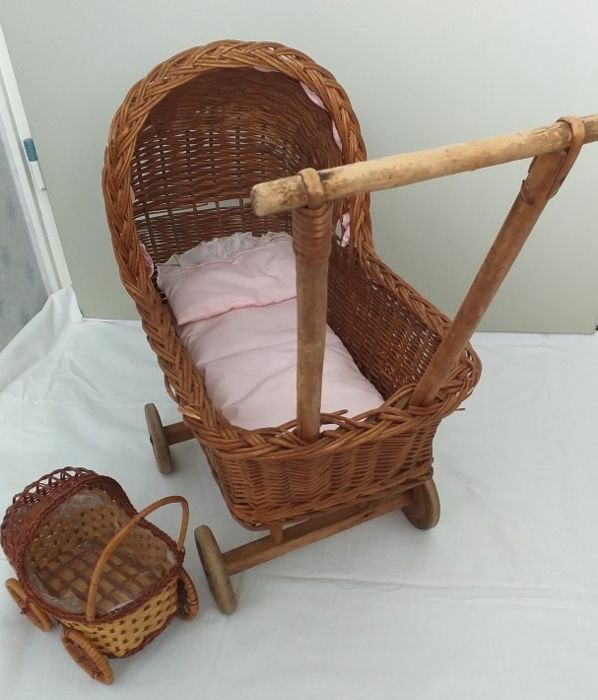 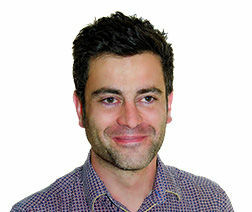 Height is 33 cm, length is 40 cm, width is 30 cm. 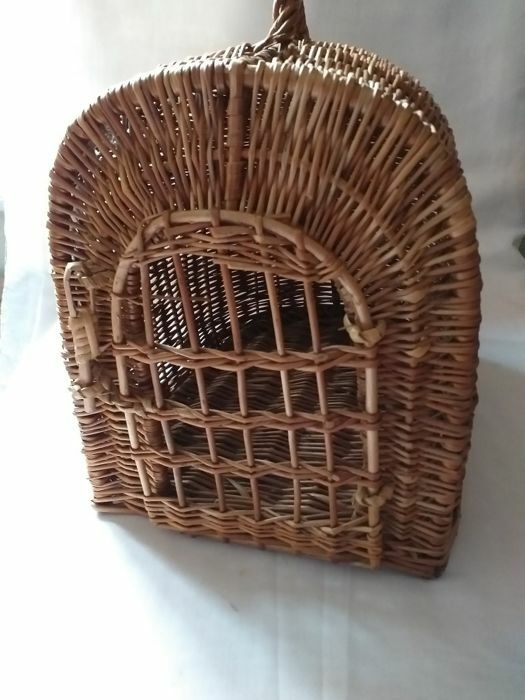 Puoi ritirare questo lotto direttamente presso il venditore: Lichtenvoorde, Paesi Bassi.